I’m bringing this blog back to its roots as a loving tribute to the place in which I grew up. From this point on, every Monday will officially be “Island Profile” day, focusing the spotlight on a different community or aspect of Vancouver Island. Everything from local celebrities and gorgeous vineyards to Tofino, Woss, the gulf islands and beyond will have their 15 minutes of fame on “Island Profile.” If you have suggestions or topics you’d like to see covered, of if you have an Island-based business that you’d like me to possibly review, please send me an e-mail with your ideas. I thought it most appropriate to begin “Island Profile” with an brief overview of Vancouver Island itself. It is the place of my birth, it is where my family resides and it is where my heart is. 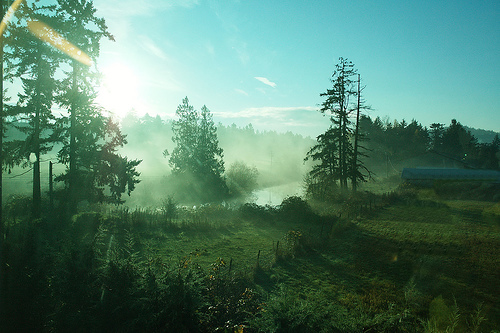 Vancouver Island is home in more ways than I can count, so it should come as no surprise to anyone that I visit often. Once a month at a minimum; every single weekend if I had things my way. Each time I tell someone that I am returning for a visit, the comment I most usually get is: “oh awesome! Have fun in Victoria!” Contrary to popular belief, Vancouver Island is so much more than just our Province’s capital (though it is a beautiful capital). 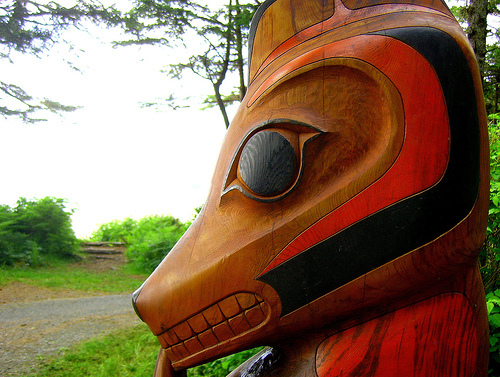 Prior to its discovery in approximately 1774, Vancouver Island was – and still is – home to many First Nations peoples, including the K’ómoks, Coast Salish and Kwakwakawa’wakw. 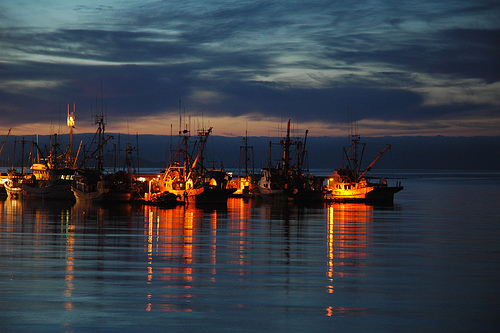 Gracing the southern-most shore of British Columbia, Vancouver Island stretches 460 kilometres from tip to tip. Dotted with cities, towns and villages, the Island is now home to close to 750,000 residents. Being that it’s located off the coast of mainland British Columbia, Vancouver Island is accessible by air and by ferry services linking the mainland to Victoria, Nanaimo and Port Hardy. 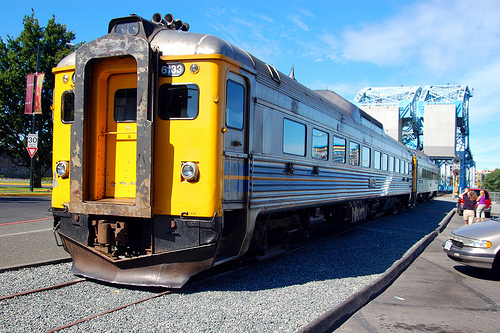 A fantastic rail system has brought the cities of Courtenay and Victoria together, with stops at all points in between, making travel both easy and breathtaking. Today the Island is a proud, bustling, hard-working epicentre for many of the industries Canada is famously known for. Aside from forestry, tourism and fishing, wine-making has seen a huge surge with vineyards cropping up in various communities, proving to be a lucrative contribution to the Island’s economy. In fact, when given the choice, I only purchase Island-produced vino and personally believe that the wine is fantastic! There truly is no place like Vancouver Island, with everything from rocky shores to pristine beaches, expansive farmlands and the unforgiving mountainous spine. One doesn’t have to wander far off the beaten path and among the towering cedar and fir trees to come face-to-face with grizzly bears, black bears, cougars, moose and the indigenous Vancouver Island marmot (though nearly extinct, you can probably spot one of these guys on Mount Washington during the summer months). Deer in our backyards is a common occurrence. Those traveling by ferry may be lucky enough to spot dolphins or killer whales while making the trip across the Georgia Straight! Should you get the chance to explore Vancouver Island and all it has to offer, take the opportunity. It’s a beautiful, unique slice of British Columbia that I am so proud to call my home. I’m really excited about this new series, and I hope you’ll enjoy a weekly peek inside what I consider to be one of the rarest gems around. For more information on tourism to Vancouver Island, please visit one of the links below. I am really looking forward to this series, The island that I have called home for over forty years is a stunningly beautiful place and I still haven’t explored it all! Awesome! I am so excited for monday’s to hear more about the island as well! Just like your mom, I love the island and still haven’t explored like I would like to. Cherry point vineyard was fantastic when we went to visit, but I can’t wait to explore many other vineyards in the summer! 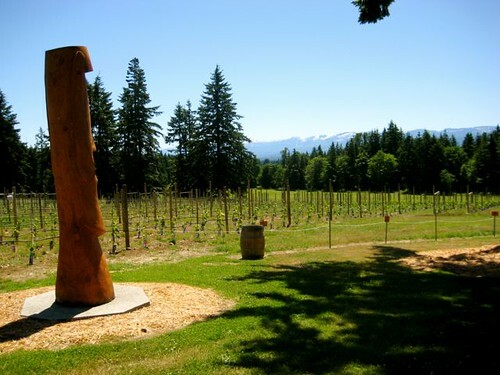 What is your favorite Vancouver Island winery? Vancouver Island and Vancouver Islanders are the two reasons why I wanted to move to B.C. Islanders are laid back like us East Coasters – which makes me feel like home. Fantastic article! I can’t wait to tune in every monday. You are such a good writer! Wonderful. I do not need to visit any tourist site about the Island; if every article is as well written and wonderfully heartfelt as this one is. The pictures look gorgeous. Someday, if I can gather enough cash, I’ll make the trip from India to Canada and definitely visit Vancouver Island. I’m glad you liked my suggestion and I’m looking forward to read about them here. I love living in Victoria! As much as I love to travel, Victoria is my home and if I need a dose of culture, I just head downtown! umm vancouver island rocks and i should know i have lived in port mc neill, down to victoria and even though powell river is not the island i still love it just as much soo many nooks to explore a person would never get bored ! !